iOS 7 is now with us, and while we get used to its clean, spare look, let me tell you why I think Apple has missed a major opportunity to catch up with Android. 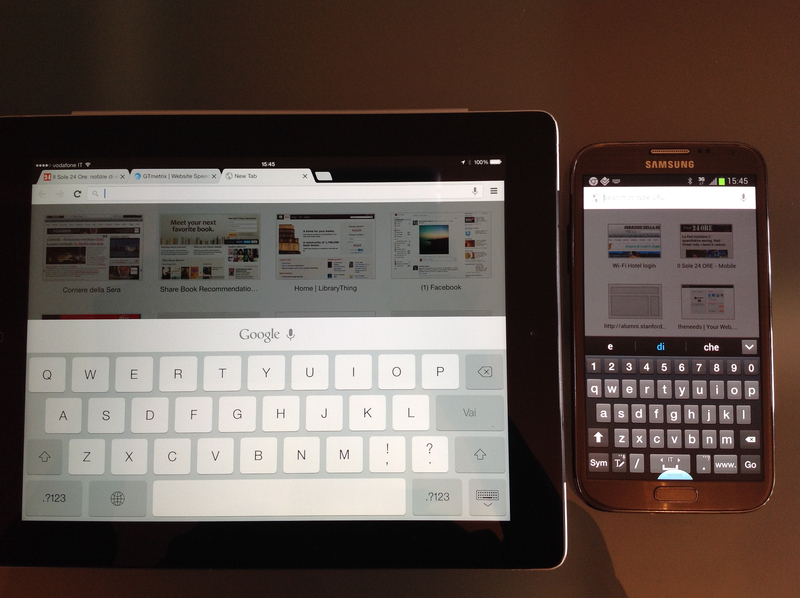 On the left is my iPad, recently updated with iOS 7; on the right, my Galaxy Note (admittedly a large device for a phone, but one that I carry everywhere because it fits in any purse and still isn’t too large to have a phone conversation), carrying Android 4.1.2 (which isn’t even a very new version of Jelly Bean). Here are three reasons why I prefer Android by far.